(Nairobi, July 6, 2016) – Activists from across Africa clarify misconceptions about the International Criminal Court and highlight the need for African governments to support the court in this video by 21 African and international nongovernmental organizations.In January 2016, the AU gave its Open-Ended Committee of African Ministers on the ICC a mandate to develop a "comprehensive strategy" on the ICC, including considering the withdrawal of African member countries from the court. The committee met in April and agreed on three conditions for the AU to agree not to call on African countries to withdraw from the court. 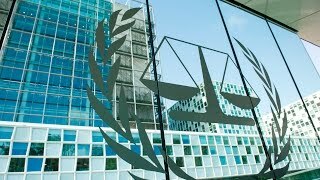 These include a demand for immunity from ICC prosecution for sitting heads of state and other senior government officials – which is contrary to a fundamental principle of the court.